A new season of the show officially begins Sunday. (Scott Sommerdorf | Tribune file photo) Meri Brown, left, from the TV program "Sister Wives" carries on a conversation with a friend near the starting line of the 5K run to benefit Holding Out Help, a group that helps people leaving polygamy. The run started at 9 a.m. from Draper City Park, Saturday, September 22, 2012. To ensure she wouldn’t be prosecuted for practicing polygamy, Meri Brown has lived in the Las Vegas area for seven years. But when the bed and breakfast at the corner of 100 East and 100 North in Parowan, Utah, came on the market, she had to have it. The house was built by her great-great-grandparents in 1870. To Brown, it is synonymous with her great-grandmother Lizzie. Brown had a grand opening for the business on Dec. 13 and named it Lizzie’s Heritage Inn. It was a chance to reclaim a piece of personal history — lost when the house was sold out of the family in the 1980s. “I think of myself as someone who lived in Utah and loved the Utah mountains and has been exiled from Utah and don’t want to go back and be considered a felon,” Brown said in a phone interview. 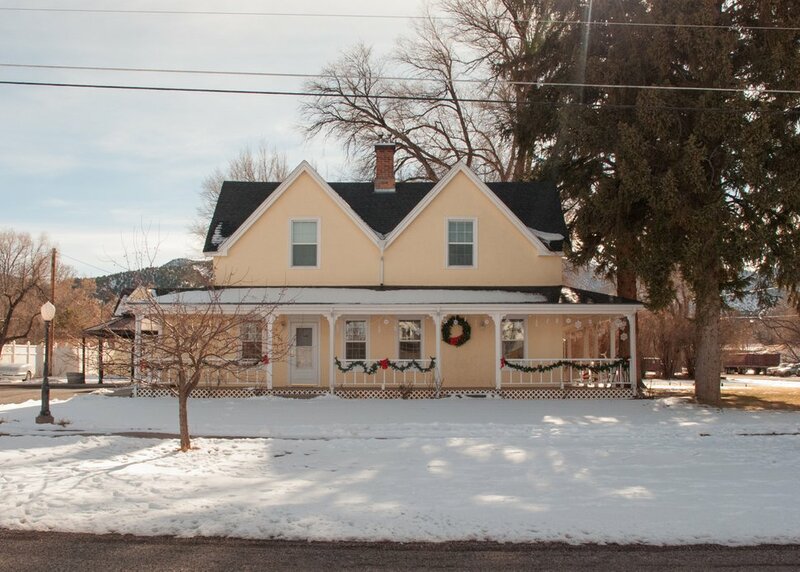 (Rachel Molenda | The Salt Lake Tribune) Meri Brown, of "Sister Wives," has opened a bed and breakfast called Lizzie's Heritage Inn in Parowan. Brown is one of four plural wives who star on the reality show “Sister Wives.” The Browns aren’t the first family to flee Utah because they were polygamists, but they may be the first to do so on their own television show. That was in 2010 — shortly after the debut of the show and a Lehi police investigation into bigamy. No charges were filed, but the Browns still opted to move to Nevada. Yet the opening of the bed and breakfast and the new season of “Sister Wives,“ which premieres Sunday on TLC, but for which the first episode is already online, shows how the Browns aren’t done with Utah. 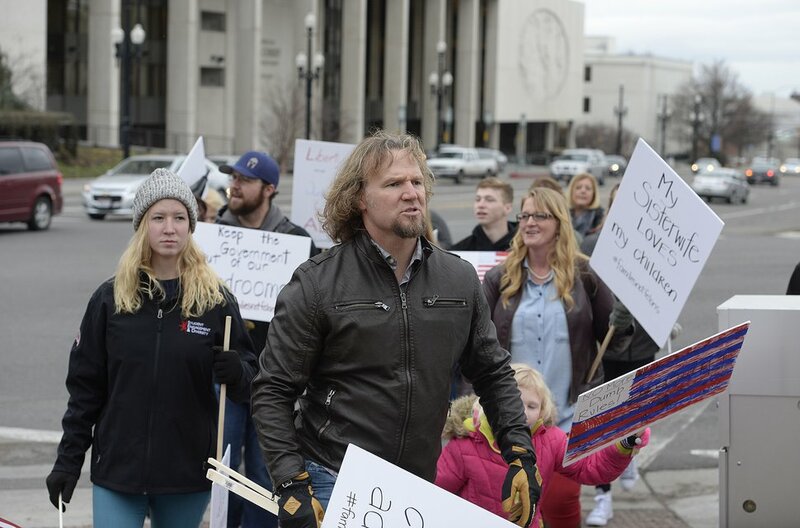 (Scott Sommerdorf | Tribune file photo) Polygamist Kody Brown and his family marched across State Street near the LDS Office Building during a rally, Friday, Feb. 10, 2017. The new season will show the day in February when the Browns marched up State Street in Salt Lake City protesting a bill at the Utah Legislature. That bill, which ultimately passed, amended the definition of bigamy in Utah and increased the penalties in some cases. The Browns — husband Kody, wives Meri, Janelle, Christine and Robyn and their 18 children — still have lots of other Utah connections. The Browns have worshipped with the Bluffdale-based Apostolic United Brethren and have friends and family across the state. Their older children have gone to college in Utah. “Kody always says, ‘I want to move back,’ but, clearly, with the current political environment that’s not going to happen, especially since they passed the updated version of that law to make polygamists felons,” Meri Brown said. 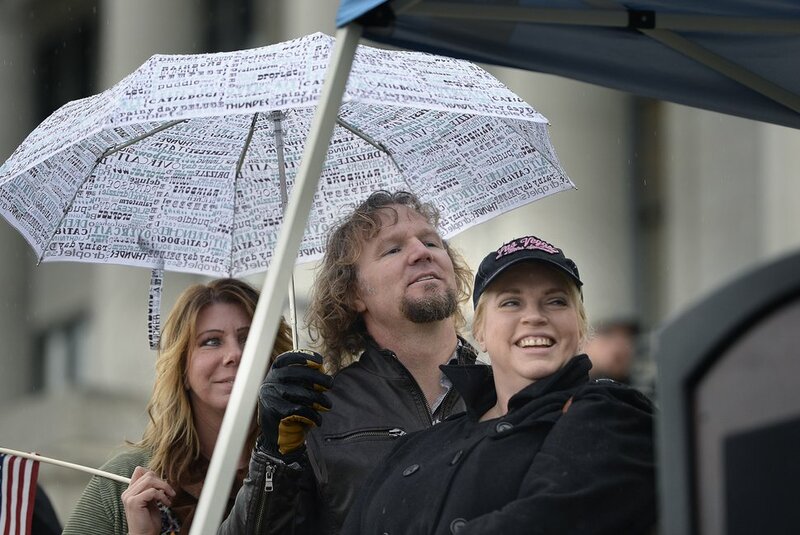 (Scott Sommerdorf | Tribune file photo) Polygamist Kody Brown listens to his wife Christine speak to polygamists and their supporters at a rally on the south steps of the Capitol, Friday, Feb. 10, 2017. Meri Brown‘s ancestors were among the first white settlers in southern Utah. The house was built by Charles Adams and his wife Sarah, who were sent to settle there by Brigham Young. Meri Brown said her mother has sold her house in Lehi and will live at Lizzie’s Heritage Inn. The mother and daughter will run the bed and breakfast together, the latter said, in what they want to be a moneymaking endeavor. The ribbon-cutting and grand opening was attended by three generations of Meri Brown’s family, Kody Brown and then-Parowan Mayor Donald Landes. Landes, whose term ended with the new year, said his town needs lodging. Parowan receives a lot of traffic from visitors going to and from the nearby Brian Head Resort. Landes said there has been some discussion in the town of the Browns’ plural family, but he’s not aware of any consternation. Meri Brown said Parowan has been welcome to her family’s return. A new season begins, and Meri is determined to open a business in Utah.